Filipina media superstar who earned the nickname Queen of All Media. She appeared on the front page of the New York Times at age seven for her contributions to her father's presidential campaign. She hosted Philippine TV's The Price is Right and Philippines Got Talent. She was married to basketball player James Yap from 2005 to 2010. They had a son together. She previously had a son with actor Phillip Salvador. She has four older siblings named Maria, Aurora, Victoria, and Benigno. 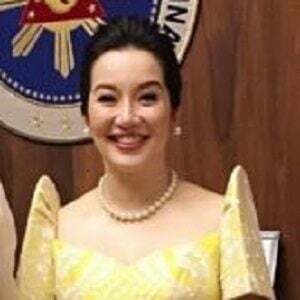 She is the youngest daughter of Corazon Aquino.